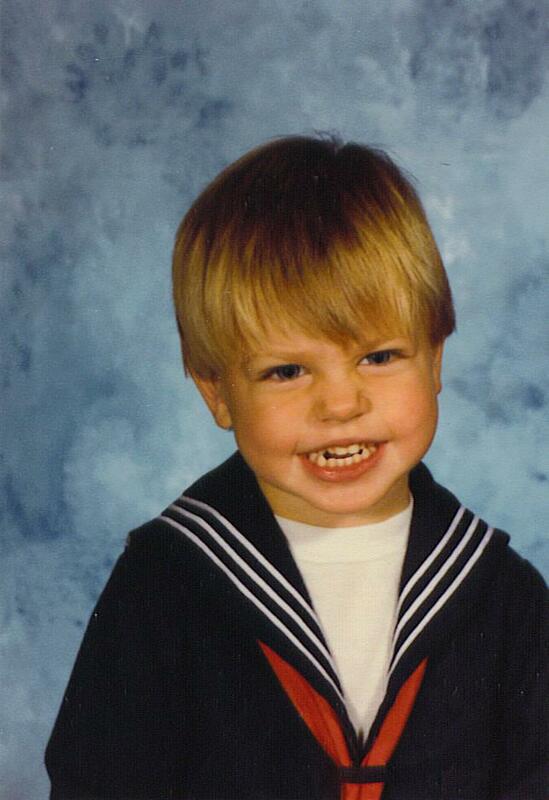 On September 30th, this little boy turned 30 years old! For all of Autumn's (almost) 2 years people have been telling me how much she looks like Adam. I never really saw it, until we had our family pictures taken this past month and once I saw this picture of Adam. She definitely has his smile! She is a spitting image of her daddy. It was a laid back birthday for Adam. The night before his day Autumn and I made him a card and left him a snack in his car to find on the way to work. Nothing says "I love you!" like beef jerky and a Dr. Pepper. He was on location all day so we weren't able to go visit him at work and take him to lunch. When he came home, we kept things simple. Before heading in for dinner I asked him to take in the ladder I was using outside and put it down in the basement. When he asked where, I told him by the sliding glass door. That didn't make such sense, but I insisted just to put it there until I was ready to use it. It took him a minute, but "Oh, WHOA." was the next thing I heard out of his mouth. That's because next to the sliding glass door was his new mini-fridge! Yes, I've eliminated all but one reason for him to ever come upstairs and visit me from his man cave now. When we finally finish the bathroom downstairs I may never see him again! He was very excited about his fridge, especially when he saw it was fully stocked with cooled Dr. Peppers. Autumn has also taken a great liking to the fridge as well! We celebrated with my family a few days later with a meal over at our house. My mom bought Adam one of his favorite pies and it was a good day. I'm so grateful for my sweet, goofy, sometimes aggravating, but always charming, husband. Oh, and I love that now I'm his hot little twenty-something wife =) I've got 3 more good years! I do see a lot of Autumn in that picture. So cute!